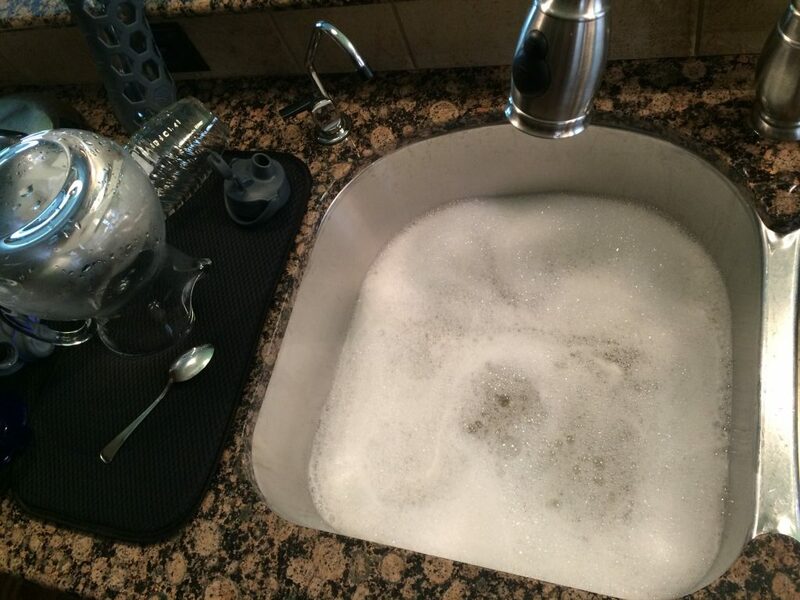 I have one thing I do in the kitchen that helps me stay on task and keeps me organized: I ALWAYS start with a sink full of hot, soapy water. I learned this trick from the days when I followed FlyLady. It is what keeps me sane no matter what I have going on. It could be as simple as preparing tonight’s dinner or as complicated as catering for a party for 75 people.